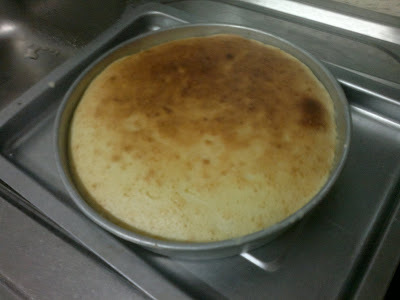 The last time I made a cheesecake was close to ten years ago.... that was before I went to Australia. It wasnt baked, as I didnt know how to use an oven then. However during my two years in Toowoomba, it was inevitable to use the oven. I learnt how to bake roast pork, wedges, chicken, and apparently lasagne is quite easy, but time consuming. 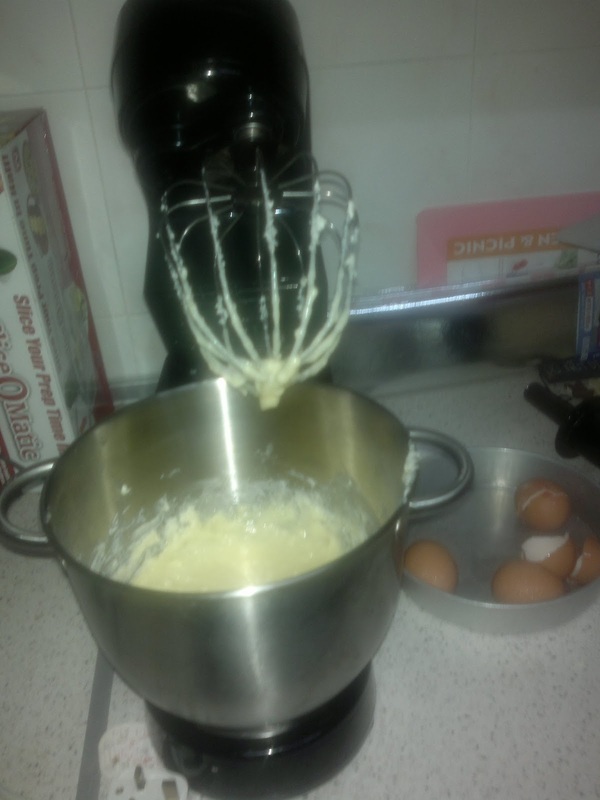 I still havent mastered Tiramisu yet though. LOL. When I was at Tesco Scotts Garden last Sunday, after our GE13, I decided to get the ingredients from TESCO since it was just on the bottom floor. 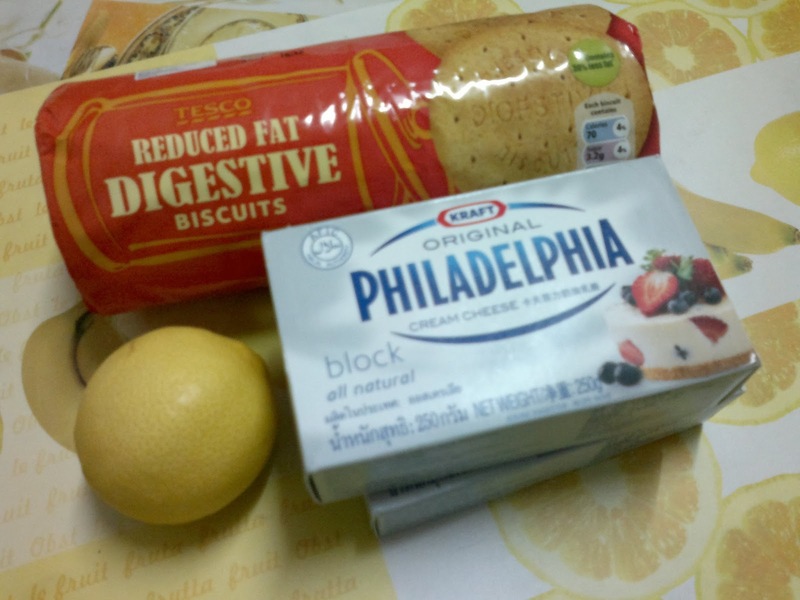 The Philadelphia cheesecake block retails at about RM12 ish. The lemon about RM1, graham biscuits about RM6ish, and everything else I could find at home. Tonight after the singles events at Viva Mall (organised by Ries from Likemind), I went home early to rest. Even bumped into Vivien Lim and her family .. (small world indeed)..
Googled a bit, and found this recipe from here: Joy of Baking, to which I adapted it by reducing the amounts to one third. The recipe calls for 1kg of block cream cheese. As my cream cheese block was only 300 grams, I reduced both the duration and volumes of the other ingredients to one third as well. I started about 8.30pm ish. 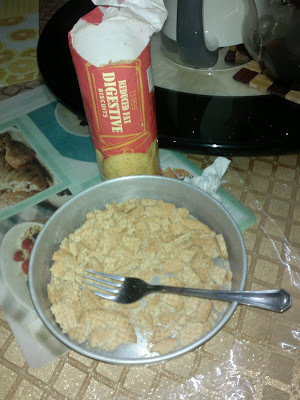 The pictures here were taken using my Nokia E6, so don't expect something too fantastic >_< Using the graham biscuits, I broke them up using a knife. Kneading it with melted butter, I form the biscuit base. I then place the tin into the fridge to refrigerate. Added about 3 small eggs, one tablespoon flour, lemon zest, one half tablespoon of vanilla essence, and sugar. 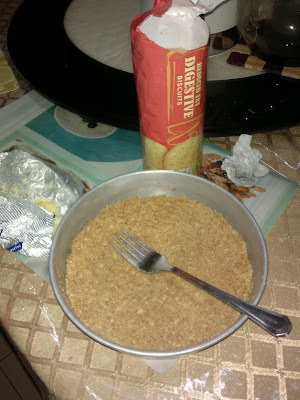 The sugar was granulated so I had to use a pestle and mortar to make it fine like caster sugar. 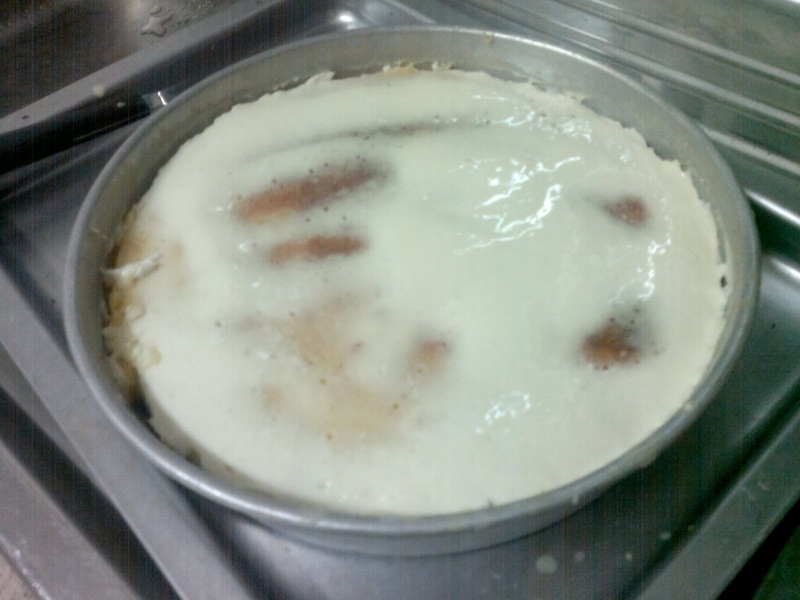 Then I buttered the side of the pan, before pouring the filling in. I the put it in the pre-heated oven at 177 degrees Celsius for about ten mins, and then reduced it to 120 degrees to bake for about 40 minutes. So this is the cooled cheesecake, without any topping. For the topping I substituted it using plain Greek yoghurt, mixed with some granulated sugar, and vanilla essence for taste. Then I baked it for a further 8 minutes ish. I then left it to cool, cling wrapped it, and cooled it further in the fridge for over night. 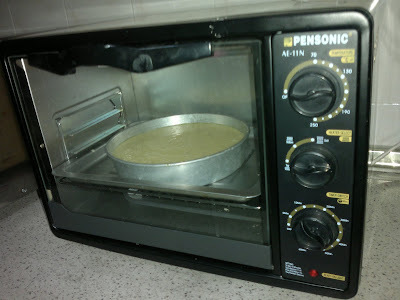 Apparently, letting the cake overnight allows the ingredients and flavours to blend and come out better. I was done by about 11.30pm or earlier. Did not really take account of the time. Better pictures taken using my Lumix DMC FS12... taken on Sunday evening. Okay, to all mothers, HAPPY MOTHER'S DAY! !